forward to all God wants to give us, and reaches out to the people around us. We know that God will expect great things from us within his love for us." from 8.30am - dusk in the winter months (Oct to Mar) and 8.30am - 5pm in the summer (Apr to Sept). As a Christian community, we seek to proclaim Jesus Christ and his teaching in all that we do: in our worship and by the lives that we live. We try to encourage and support people in their lives through service, prayer, Bible study and worship. We are delighted to be part of the wider community and many people in our congregations are involved in the various clubs and groups that are part of our life here. We aspire to be a means of good for the life of our community of Rotherfield, Mark Cross and the surrounding area. We are blessed with two beautiful buildings. They are uplifting places to worship God. We appreciate that the buildings do not belong to us. We are entrusted with them and whilst the local congregation help to maintain and finance the Christian ministry at St Denys' and St Mark's, we feel it is for the whole of Rotherfield and Mark Cross. They can come and be part of us as much as they feel able. A warm welcome awaits all who visit into St Denys’ or St Mark's Church. for more information on how to trace your ancestors at St Denys', including downloadable files listing graves, inscriptions and location of burial. St Denys’ Church have signed up to easyfundraising.org.uk as another way of raising money. Click on the logo above and sign up to help us. Through this website, you can help raise money for St Denys’ when doing your online shopping. There are 3,100 shops and sites to choose, from shopping at Amazon, holidays, insurance, clothes or groceries from your local supermarket. Please help us and let others know! 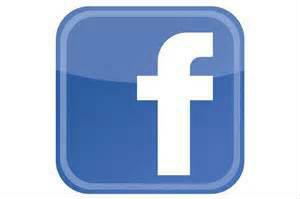 To find out more and to keep up-to-date with services and events, 'like' our Facebook page.